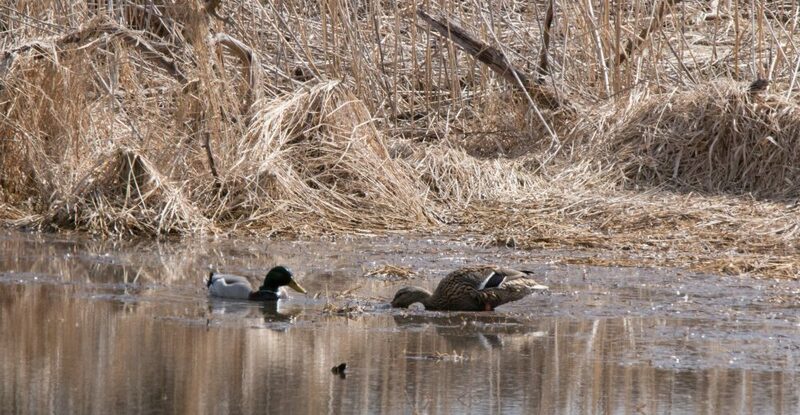 I had another post in mind but it is late, I’m leaving shortly for the airport, if not in the middle of the night this time, for our West Texas birding trip. 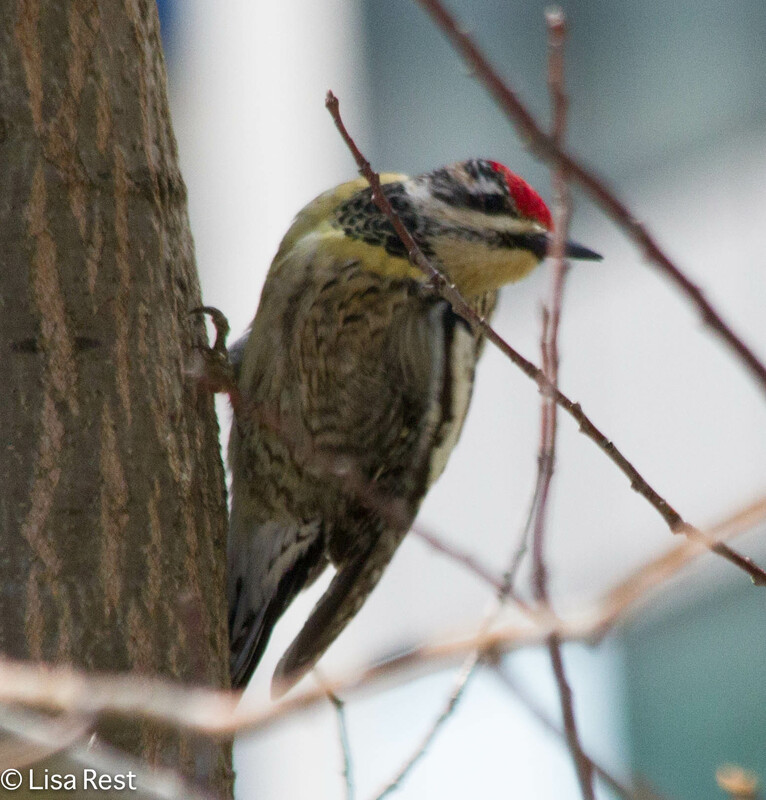 As for the Yellow-Bellied Sapsucker above, this is the most yellow I have ever seen! So here are a few pictures taken in downtown Chicago over the past two weeks, as the migrants come through. Specifically the location is Lake Shore East Park. 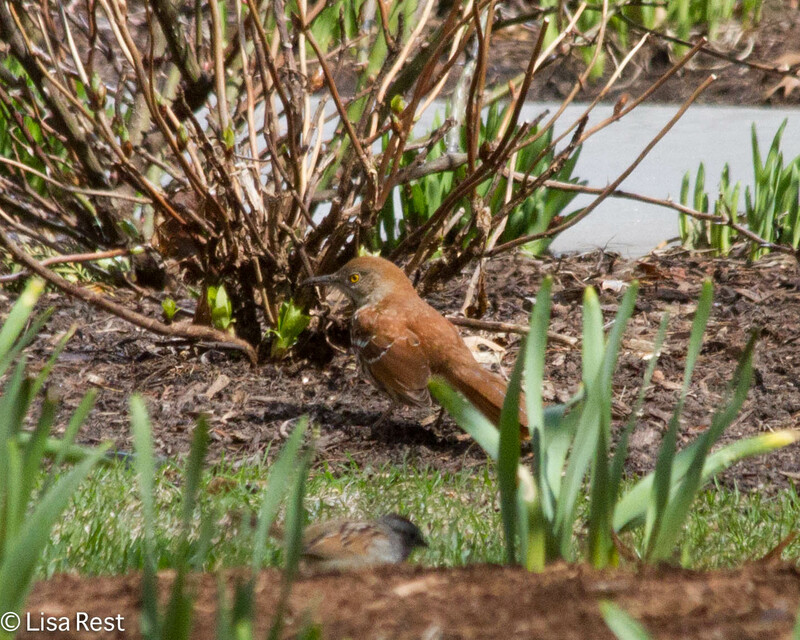 The Brown Thrasher and the Grackles are likely here for the breeding season. 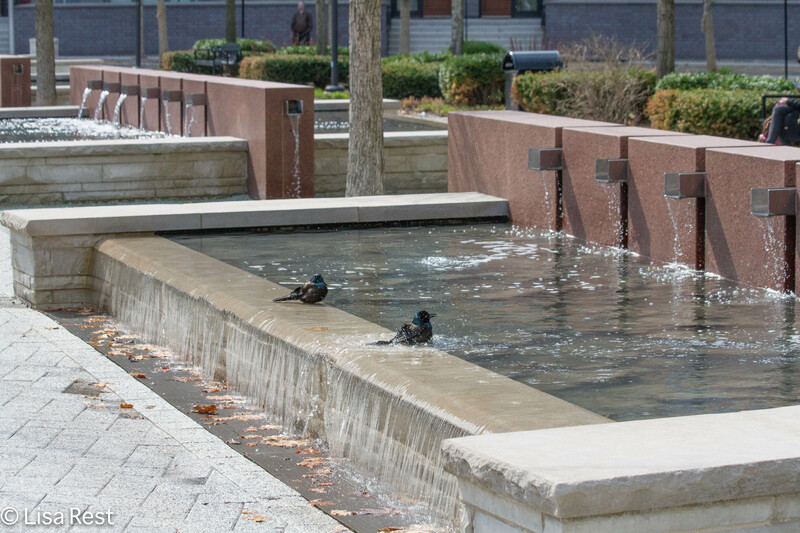 The Common Grackles were ready the moment the fountains went on. 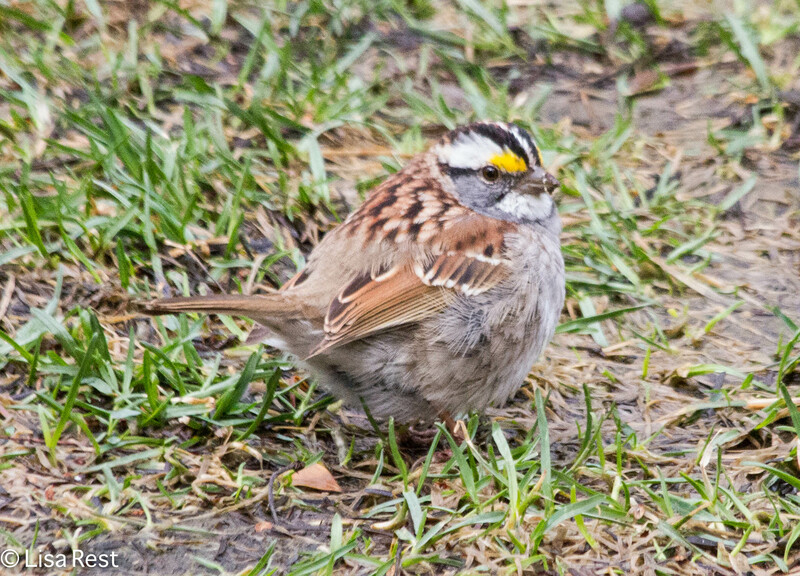 White-Throated Sparrows have been around for weeks, if not in the hundreds like they were when Daley Bicentennial Plaza still existed. Now and then one breaks into song. Thanks to all who follow or stop by! 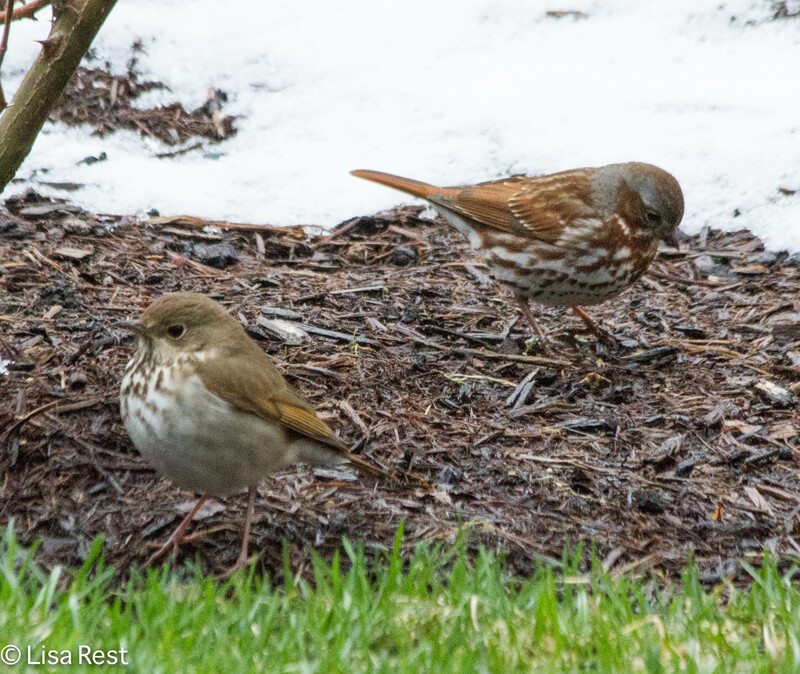 This entry was posted in bird song, birds, photography, Sparrows and tagged Brown Thrasher, Chicago lakefront, Common Grackle, Daley Bicentennial Plaza, Fox Sparrow, Hermit Thrush, Lake Shore East Park, White-Throated Sparrow, Yellow-Bellied Sapsucker by Lisa Rest. Bookmark the permalink. Love the sapsucker, Lisa Have a great trip! 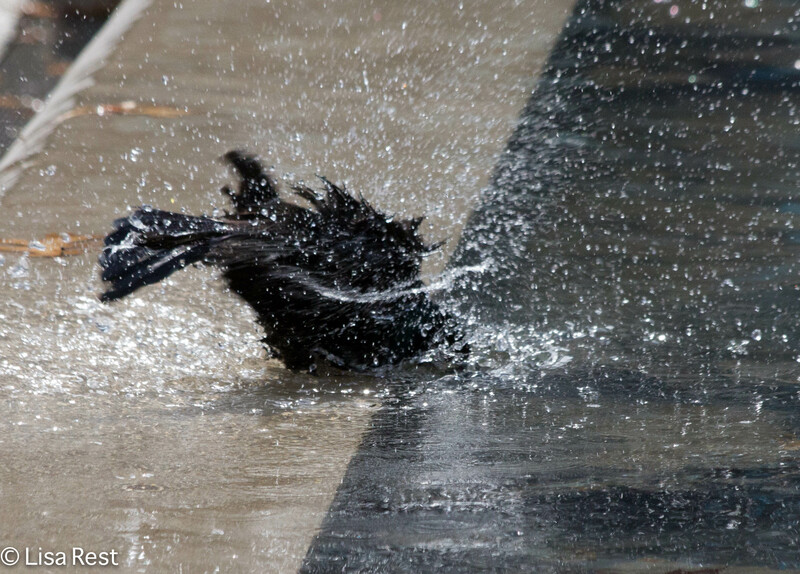 Have a good time and see lots of interesting birds. 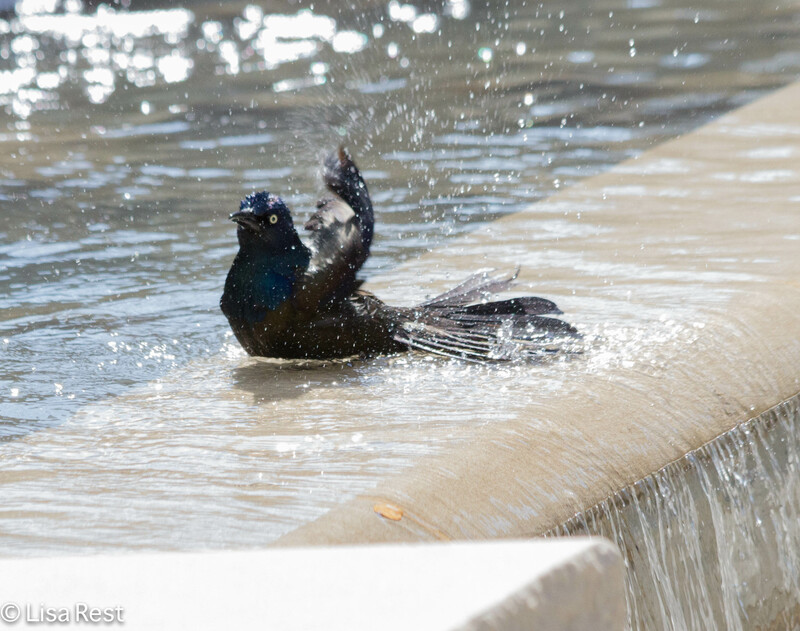 The grackles certainly enjoy their baths. Have a great time in Texas!